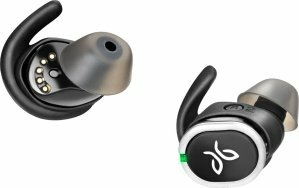 Today only(4/16), Best Buy offers the Jaybird RUN True Wireless In-Ear Headphones for $129.99. Deal ends 4/16 23:59 CST. Features: Pair your morning jog with these Jaybird RUN wireless earbuds, and enjoy your music each step of the way. Bluetooth compatibility with multiple devices lets you share your playlist without the tangle of wires. These Jaybird RUN wireless earbuds are sweatproof and dirtproof to handle the worst of your workout.